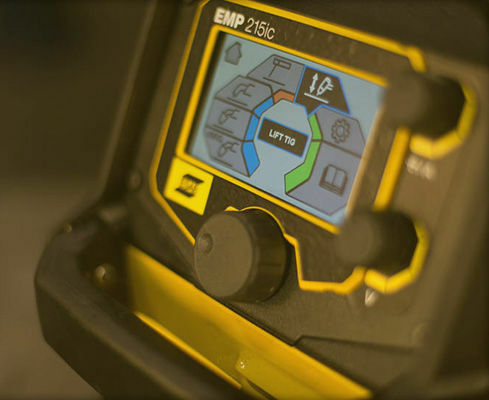 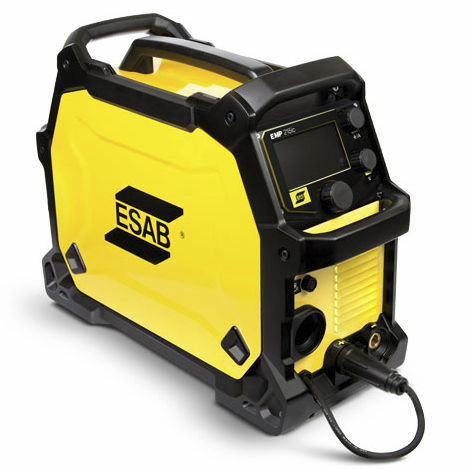 The Rebel™ EMP 215ic offers 120/230 V flexibility and some of the most innovative welding technology available. 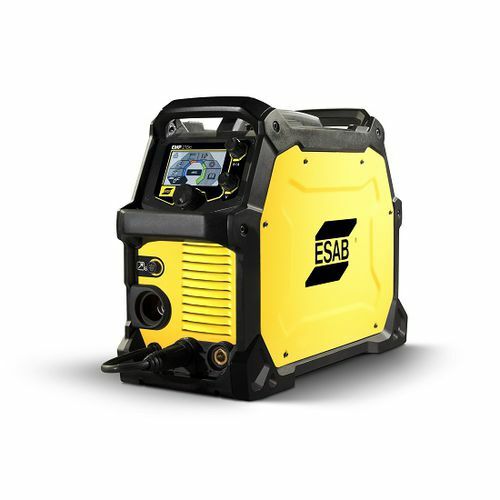 A breakthrough design inspired by professional welders, the Rebel EMP 215ic is a complete MIG/TIG/Stick package ready to weld anything – mild steel, aluminum, stainless steel – and go anywhere. 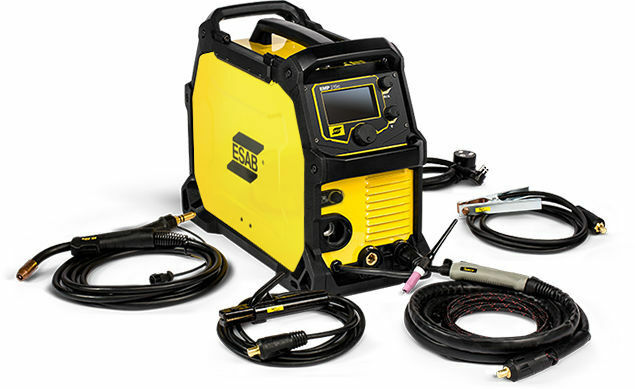 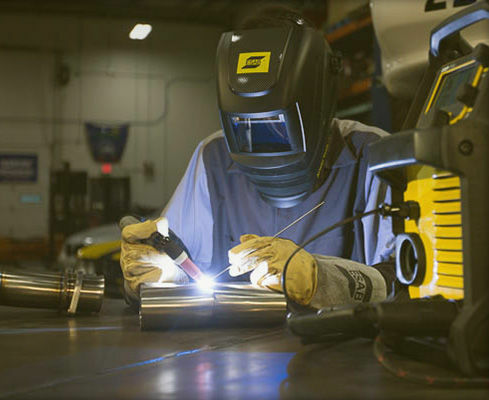 True multi-process performance for best-in-class MIG, Flux-Cored, Stick, including 6010 Stick electrodes, and Lift TIG welding with Rebel EMP 215ic Exclusive sMIG ("smart MIG") feature continuously learns and adapts to the operator’s welding technique to provide a stable arc and superior, repeatable welds; increases productivity for the experienced welder, and reduces training time for novice welders Innovative display has larger display screen and higher pixel density to provide a more clear view of the TFT screen than other light industrial welders; loaded with exclusive features: on-demand availability of the user’s manual, listing of spare parts – all in multiple languages Unique, five-handle roll cage industrial design and unibody steel construction in a lightweight, highly portable unit; 3-year handle-to-handle warranty Rebel Series models come ready to weld out of the box with Professional Grade TWECO accessories and Victor gas regulator. Shielding gas not included.